For today’s deals roundup, we have found some interesting deals on Major appliances like a refrigerator. The products in this list are from well-known brands like Haier, LG and more. If you are thinking of replacing your old refrigerator with something newer, then you’ve come to the right place. 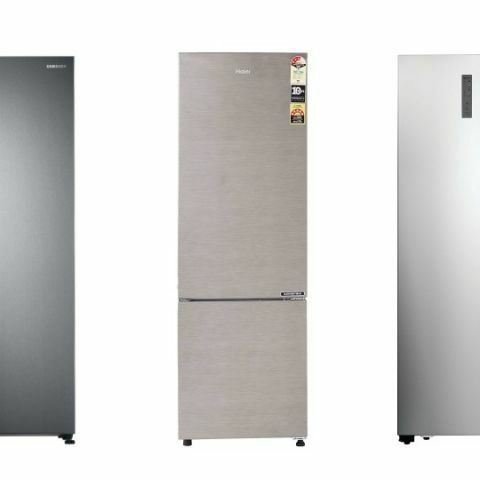 We have put together a bunch of refrigerators deals that are currently available on Amazon. The list has products from brands like LG, Haier and more. The BPL Side-by-Side Frost-Free refrigerator has a capacity of 564L and comes with the multi-airflow system. It features an LED touch button to control the internal temperature as per your food storage. The refrigerator also has a water dispenser on the door. Click here to buy. The LG 260L Frost-Free Double Door Refrigerator comes with Linear cooling technology, which reduces the temperature gap between the different portions of the refrigerator easily. As per the company, it also keeps your food fresh for up to 14 days. It also features an Auto Smart Connect that lets you connect the refrigerator to your home inverter. Click here to buy. The Haier Frost Free Double Door Refrigerator has a capacity of 276L and comes with a 3-star energy saving ratings. The refrigerator features an auto-defrost technology that automatically stops ice build up. Click here to buy. The Bosch 618L Frost Free Side-by-Side Refrigerator comes with a multi-airflow system that provides constant air circulation on all the levels to maintain freshness. It also features an auto defrost, which prevents ice build up. Click here to buy. The Samsung 674L Frost Free Side-by-Side Refrigerator comes with the Twin Cooling Plus feature, which separately cools the fridge and freezer compartment. It also has a Chef Cooling technology that automatically maintains the temperature and compressor functionality during fluctuations to keep food fresh. Click here to buy.